Forget the hassle of switching apps when you drive! At Grab, safety is our main priority and we understand that it can be challenging for driver-partners to drive while switching between multiple apps. 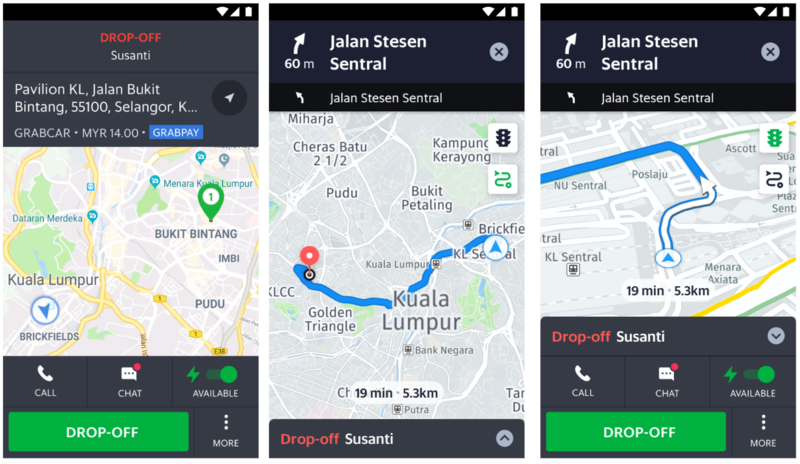 As such, to address this, we are launching the In-app Navigation, a new navigation experience within the Grab Driver app! From 25 July 2018 onwards, we will be testing out this new feature with selected group of Driver-Partners on Android to provide a seamless driving experience where everything is kept within a single app. This means better and uninterrupted concentration on the road for you! 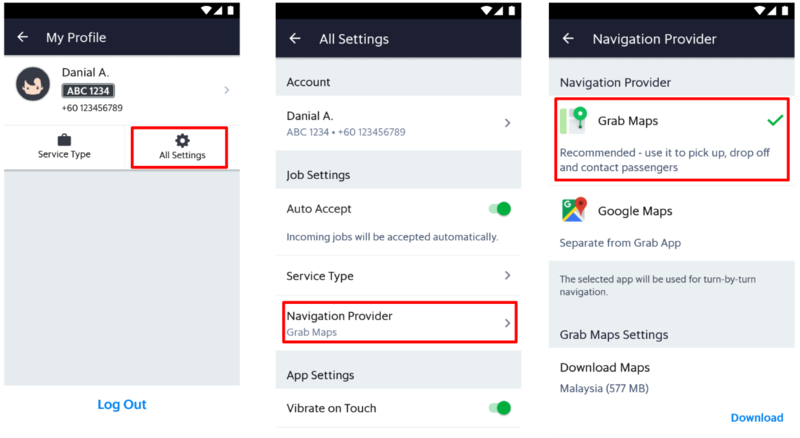 Important Note: You can still receive back-to-back jobs or GrabShare matches while navigating within the Grab Driver app. Your map will automatically be updated when the job is accepted. Your preferred navigation provider will now open by default whenever you tap on the ‘Navigate’ icon during a trip. Q: How do I know if I’m part of the pilot programme? You would have received inbox notification from Grab indicating that you’ve selected to be part of the pilot programme. Please note that this feature is ONLY available for Android devices with Grab Driver app v5.44.0 and above. Q: How are routes recommended in the in-app navigation experience? A: Routes are dynamically recommended based on the fastest route at that point of time. Q: Can I use the in-app navigation when not in a Grab job? A: No. It can only be used while in a Grab job, or with the My Destination feature. Q: I’ve accepted a back-to-back job / GrabShare match. Will my route be updated automatically? A: Yes. Your route will automatically be updated after accepting a back-to-back job or GrabShare match. Q: What happens if a passenger requests for an additional stop, or a change of stop, outside of the original booking? Can the in-app navigation support this? A: No. As the request is outside of the original booking, the in-app navigation experience is unable to support this. Q: What is the ‘Download’ function under the navigation setting? A: This feature allows you to download your local map into your phone. By doing so, you will be able to save on mobile data usage while navigating within the Grab Driver app! Q: Can the in-app navigation show routes that do not have tolls? A: For now no, it doesn’t. But don’t worry, this will be added in the next version!